It has been a rather busy couple months. We’ve had lots of big projects at work and lots of departmental changes to go with them. Additionally, it’s finally summer and I’ve been fishing as much as possible. 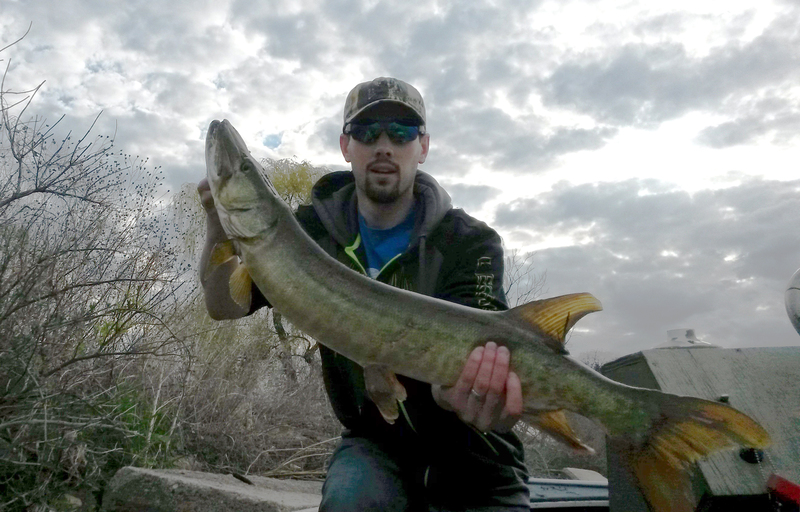 This being my second year with a boat, I’ve been making the most of my free time including lot’s of fishing with the kids at nearby Silver and Little Cedar lakes, and a fair amount of muskie fishing with friends and family down at Pewaukee Lake. Actually, just last night I was fishing with a couple of friends on Pewaukee. 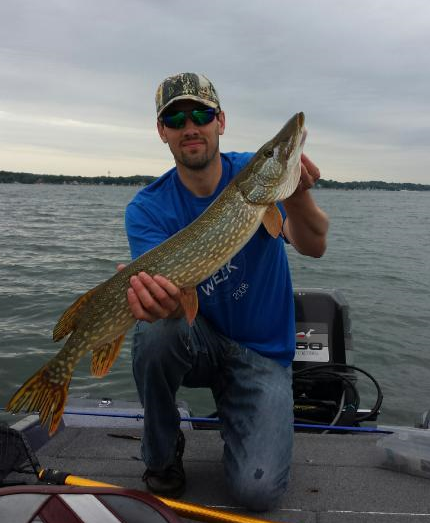 We didn’t have much luck, but we did find a 34″ northern pike floating in the middle of the lake. It clearly hadn’t been dead more than an hour or two. It had some thin, deep cuts toward the back of it, probably the result of another fish biting it. Anyway, my boat is fairly small for three guys, and even with the motor on full throttle the best speed we were able to make was about 18 mph. It felt pretty slow when I had recently been out with a couple different people in their boats, one that could get up to 40 mph and the other was at 45 mph (and may have even been able to go faster). There are things you can do to increase your speed while moving across the lake, such as making sure your boat is level, but the size of the engine really does make a big difference. The week before the big database server upgrade that I was recently working on, I decided to test the disk speed on the new server. I was confident we’d be getting a big boost because we were going from spinning disks on the old server to SSDs, which are supposed to be up to 40X faster. I was pretty excited to run some tests and see what kind of improvement I got from it. I decided to use a tool called diskspd to measure the speeds. This tool is available at Microsoft Technet here. Although it was not created specifically for SQL Server, it can be configured to run effective tests on SQL Server disks. I created the following batch file to run tests on the OS disks, the Data File disks, the Log File disks, and the TempDB disks. REM			 	 to get an idea of how I/O will change when moving a SQL Server instance to a new server. REM -b: Block size. 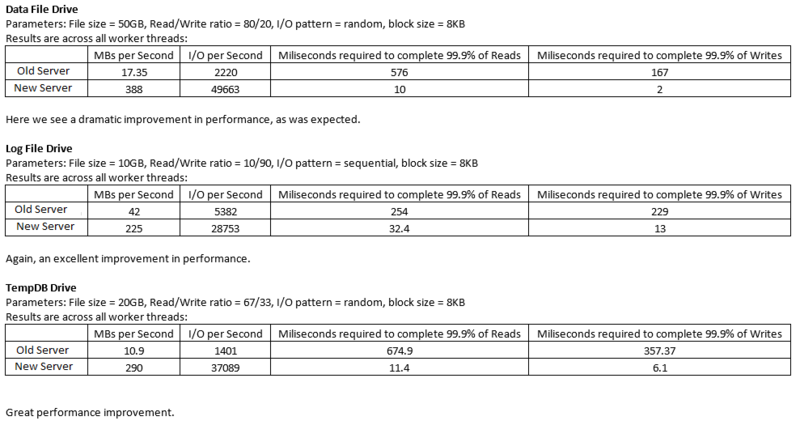 SQL Server uses 8K pages, but also sometimes reads full extents (64K) and read-aheads (512K). REM -c: Size of the workload files to create. Compare this to your mdf or ldf file sizes. REM -h: Disable hardware and software caching, from within the Windows OS layer. This mimics SQL Server behavior. REM -L: Capture latency info. REM -o: Outstanding I/Os (queue depth) per worker thread. Make this higher to increase intesity of test. REM -r: Random reads/writes. Use random for data file drives. REM -s: Sequential reads/writes. Use sequential for log file drives. REM -t: Worker threads. Set this to number of cores on server. REM -w: Write percentage. The remaining percentage will be reads, so setting this to 20 will test based on 80% reads and 20% writes. REM -Z: Separate read and write buffers, and size the write source buffer. A larger buffer will have more randomized data to write. Overall, I saw about a 20X improvement in speed. 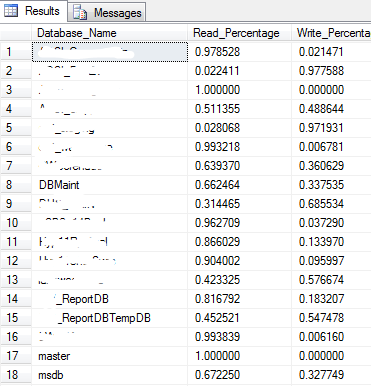 It will be interesting to see how this improves the performance of the applications using this database server, as well as running ad-hoc queries.